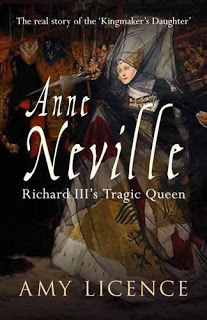 It is very unfortunate that little historical evidence or records exist regarding the life of Anne Neville, daughter of the Earl of Warwick and wife of Edward of Westminster and finally King Richard III. There doesn’t seem to be enough to fill a two hundred page biography but Amy License delivers with this book. 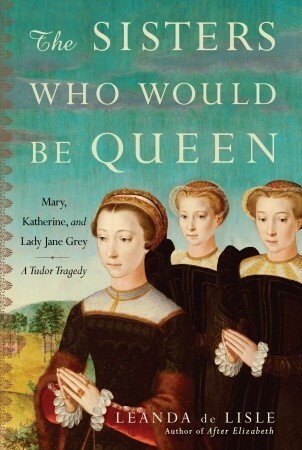 As I have mentioned before I try to avoid the Wars of the Roses but this book piqued my interest because it’s about a medieval noblewoman who became Queen of England. This book gives us the scant detail we know of Anne and fleshes it out with interesting historical details. There is a lot of information about the Earl of Warwick, Anne’s father, known to history as “The Kingmaker”, because details of his life give us insight into the home Anne grew up in. Warwick was Captain of Calais so Anne spent a few years of her childhood in France. Warwick’s machinations in bringing the Yorkist Edward, Earl of March to the throne and his about face in supporting Margaret of Anjou’s attempt to bring her husband Henry VI back to the throne are described. Licence gives us a great lesson in these events in easy to understand narrative. This is important to Anne’s story because it explains how she came to marry Edward of Westminster, the son of Margaret of Anjou and King Henry VI. It is also important to Anne’s story because her father was killed in battle and eventually her husband Edward was killed too, leaving her a widow in the care of her sister Isabel and her husband the mercurial Duke of Clarence, brother of Anne’s future husband, Richard Duke of Gloucester. It is interesting to note that no one knows how the marriage of Anne and Richard originated. There was opposition to the alliance and it is a mystery who first suggested it. But marry they did with no expectation they would be king and queen. The early years of Anne’s marriage and the birth of her son Edward of Middleham are recounted. Licence tells us of the castles the couple lived in and how they acquired more property and renovated some of them, along with the religious institutions they patronized. Using contemporary sources regarding how medieval women ran their households and aided their husband’s, we can get an idea of Anne’s daily life. All of this was to change with the sudden death of Richard’s brother, King Edward IV in the spring of 1483. Richard was appointed Protector and regent for Edward’s young son, King Edward V. In a mysterious turn of events, Edward V and his brother and sisters were declared illegitimate and the Council asked Richard to be king. King Edward V and his brother Richard, Duke of York disappeared in the Tower of London sometime during the summer of 1483. Richard and Anne were crowned king and queen and then circumstances seem to have unraveled over the next two years. This book is enjoyable, easy to read and fascinating. 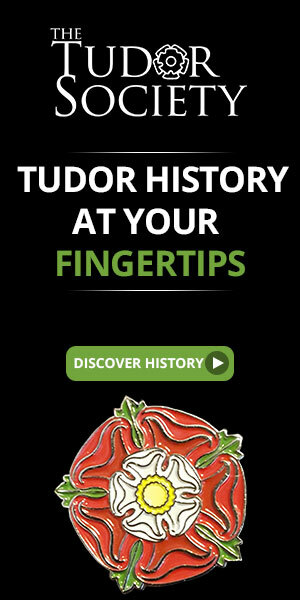 This time period of the Wars of the Roses brings up way more questions than answers based on the existing evidence. Licence poses all these questions and leaves it up to the reader to decide what they think really happened.